Turning on the radio or television to learn about weather in your area can give you some inaccurate results. The weather information you get from these sources tends to be very general and not targeted to your specific area. They are serving very large areas of the country, so they can’t focus too much on your particular location, and that’s why you may want to invest in a wireless weather station. According to WindAndWeather.com, this device can accurately provide information on wind direction, wind speed, temperature and even weather forecasts. You can know both what is happening now and what will happen over the short term in your local area. You may not need one at all- According to Wired.com, the average smartphone can predict the weather and give your local temperature and wind speed with decent accuracy. 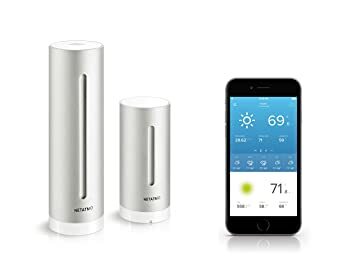 But even if your smartphone isn’t accurate enough for you, and you may want something a bit more specific and accurate, you should at least consider the idea of whether you really need a wireless weather station or not. Know your weather conditions- If you live in an area where there is some really rough weather, then you will want a durable, reliable weather system that can hold up to a beating. Be sure to pick a suitable one for your location of choice. 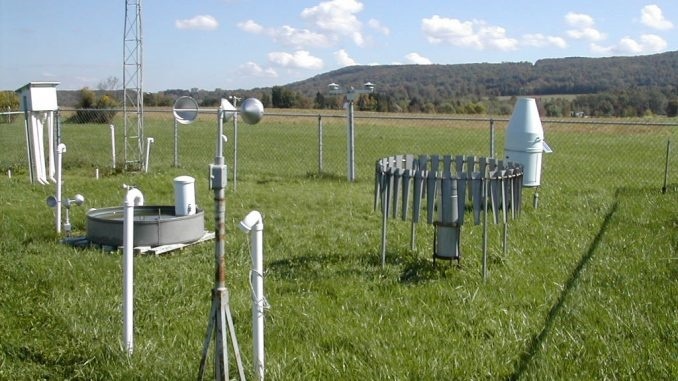 Weigh between cost and durability- You may not have a lot of money to spend on a wireless weather station, but you may also want a decent quality one that will be worth your investment and that lasts you for a while. It can be tough to balance those two factors, but if you read reviews thoroughly and find out how well some of these stations may actually perform, you should be able to find one that meets your needs. 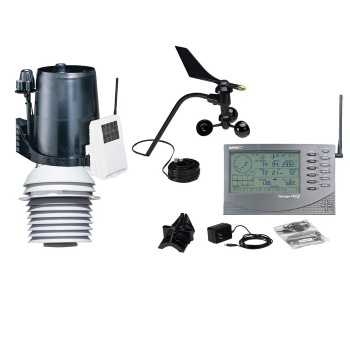 The following list compiles our top picks for wireless weather stations. 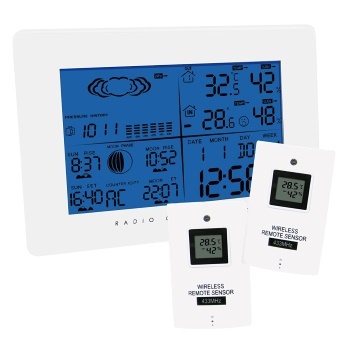 We took into account economical price, high quality design and the ability to provide accurate weather information. This fully featured wireless weather station can predict incoming storms, inform you of moon phases, provide temperature and humidity readings and even chart weather changes over several weeks. It even has a self-emptying rain bucket, so you can place it outside and not have to worry about it getting flooded or otherwise damaged. It is designed to hold up to a lot of weathering and to keep on functioning properly. You will pay a lot for this one, but it can be worth it to get so many different readouts and to enjoy such a wide range of features. 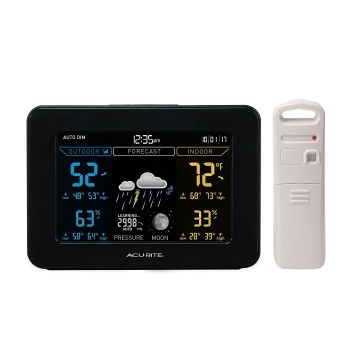 This weather station is listed as the best budget system by LifeWire.com. 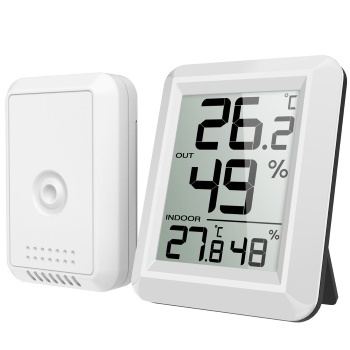 It offers some simple weather information, such as providing both indoor and outdoor temperature. The large readout is easy to see, and the information is updated every few seconds, so you always get accurate weather details. This product is designed to handle tough outdoor conditions and last a long time. If you are working with a tight budget, then this is likely your best option. Here you have one of the best options available. The price is right, and the level of workmanship is high qaulity stuff, so you are getting something that will last you for years and years like you won’t get with most of the other options listed below. This provides both indoor and outdoor temperature, as well as humidity and highs and lows for the day. It comes with a fold out stand to keep it upright. Here is another solid weather station, but all it gives you is humidity and temperature. The smart display can show much information,but the tiny size of the screen makes it hard to read anything from far away. It can be set up as far as 100 feet from the sensor, though, so you can place the display just about anywhere in your house and still get accurate information from outside. 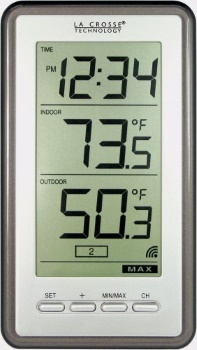 With this thermometer, you can measure indoor and outdoor temperatures. It emits a strong wireless signal that can reach as far as 300 feet, so you can place the sensor anywhere you like outside for maximum accuracy in readings. The large display is easy to read and makes this a good choice for a budget weather station. 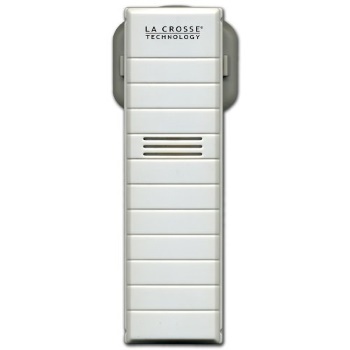 This remote works with a variety of La Crosse weather stations. It allows for wireless, remote control of the station and gives you readings from quite a distance. You can use this with up to two other sensors, giving you three locations to get a weather reading. So, if you like to be able to see the temperature and other readouts anywhere in the house, you can do so if you buy enough remotes. This one from AcuRite is a bit more robust. It is also an indoor device with an outdoor sensor, so you can get accurate readings for both inside and outside your house. The large display tells you when it is raining or sunny, what phase of the moon you are in, what the humidity is like and what the highs and lows are for the day. 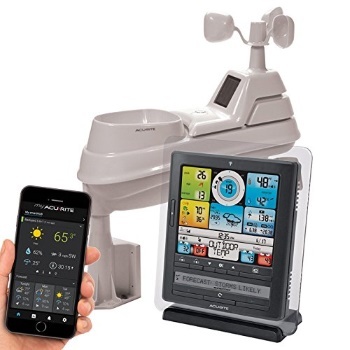 This is a fairly robust setup that includes a full monitor and two smaller monitors Plus, you get the remote sensor that you can place outside for accurate weather readings. Certain functions will only work in any one of the 150 cities this system is programmed for, so be aware of what those are and make your purchase accordingly. You can get accurate readings on temperature, humidity, sunrise, moon phases, weather trends and more from this single device. That’s a lot of functionality for a small device at a price like this, but the manufacturing is not of the highest quality. The remote sensor may not always work as accurately as you would like, according to some reports. This device may be trying to do too much for the type of setup it has to work with, but if you can get it to work well for you, then it is well worth the money. 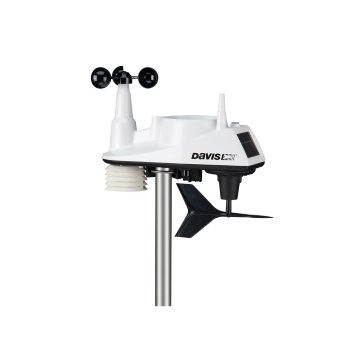 For something more sophisticated (and expensive), you can choose this premium weather station setup from Davis Instruments. It’s able to offer fine-tuned, accurate weather readings, giving you information on wind speed, barometric pressure, temperature, rainfall, forecasts and more. It can do just about anything the best weather stations do, plus it is made with quality materials that are designed to last. Yes, it costs more than most of the items on this list of reviews, but it is worth the price because of the high level of quality and because of the wealth of options that are provided. You will have to decide for yourself if you really need all those options and if they are worth the money to you. Here is another La Crosse weather station remote, and this one is built for a budget but also built to last. It offers a temperate readout, and it can be placed anywhere within 80 feet of the outdoor sensor. This remote sensor gives you some freedom and convenience in where you get your weather information from, and it is compatible with a number of La Crosse weather stations. Those were our top choices for wireless weather stations, and it is our hope that you were able to find one there that suits your needs. We covered a wide range of pricing and features, so you should be able to pick out one that does what you need and that fits your budget well.